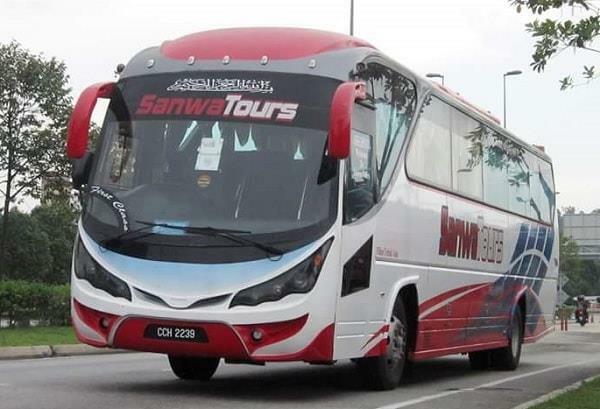 Sanwa Express is a reputable express bus brand manages by Sanwa Tours (M) Sdn Bhd. Found in December 2012, Sanwa Express grows fast and they have a strong presence in Muadzam Shah Bus Terminal, Pahang. The brand is popular among passengers for its excellent express bus service and it quickly becomes locals’ favourite for their travel. Popular bus routes offered by Sanwa Express include bus from Muadzam Shah to Kuala Lumpur, Shah Alam, Klang and Seremban. In addition, Sanwa Express also offers the return express bus service from these locations back to Muadzam Shah, Pahang. The routes operated by Sanwa Express gives convenience to many especially the students from MRSM Muadzam Shah, Politeknik Muadzam Shah and Universiti Tenaga Nasional (UNITEN) to travel back and forth from their hometown to where they study. In the first half of 2017, Sanwa Express has launched a new route from Kuala Lumpur to Tanjung Gemok Jetty and from Tanjung Gemok Jetty to Kuala Lumpur. Tanjung Gemok Jetty is one of the gateways to Tioman Island, although it’s bit less popular compared to Mersing Jetty. However, it receives more attention in the recent years because the ferry schedule in Tanjung Gemok Jetty is more stable compared to Mersing Jetty. By offering express bus service from Kuala Lumpur to Tanjung Gemok Jetty and from Tanjung Gemok Jetty to Kuala Lumpur, Sanwa Express aims to provide more convenience for those in Kuala Lumpur to travel to Tioman Island. In Kuala Lumpur, bus departs and terminates in Terminal Bersepadu Selatan (TBS), which is easily accessible via public transportations such as LRT, KTM, ERL and taxis. 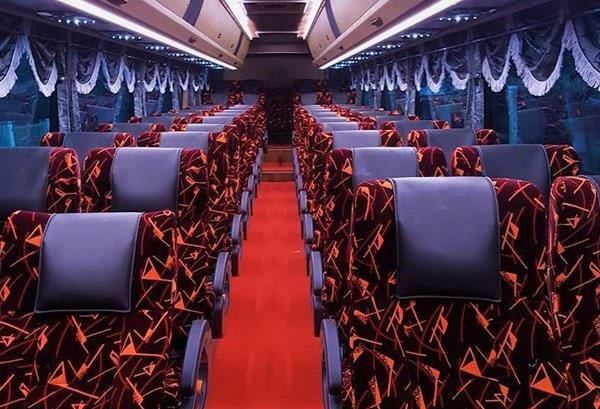 Passengers can choose from 44 seats available which are arranged in 2 x 2 arrangements. The buses are equipped with air conditioner and cozy seats to ensure their passengers have a comfortable journey. In fact, their slogan “Your Comfort Our Priority” accentuates the importance of their passengers’ comfortability. Hence, it is not a surprise that Sanwa Express have many loyal and returning customers. BusOnlineTicket.com now offers Sanwa Express bus tickets online. You can check the schedule, availability and the ticket prices from our website and make your bus ticket booking online in advance. Book today!